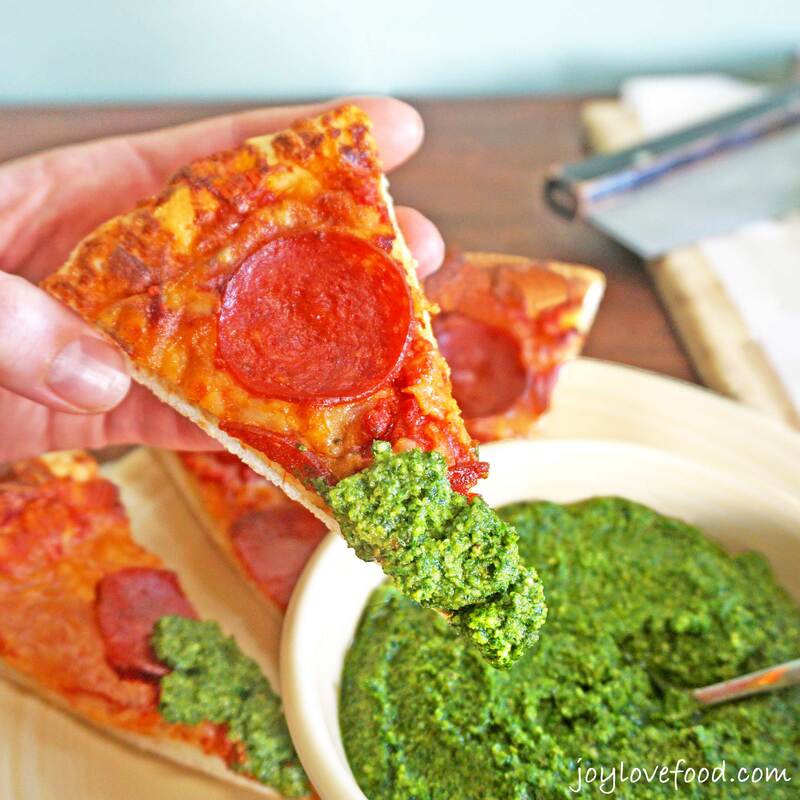 Kale Walnut Pesto – a flavorful pesto, that is so easy to make, paired with a pepperoni pizza, is perfect for a quick meal that the whole family will enjoy. With three young kids, we have a busy schedule. Most nights we are juggling a mix of activities, meetings and homework. 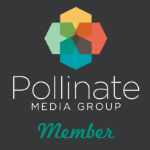 During the holidays, with all of the fun seasonal activities thrown into the mix, things get even busier. So, now more than ever, I rely on quick and easy options for getting a delicious family dinner onto the table, such as a Freschetta Naturally Rising Pepperoni Pizza. Freschetta pizzas are wonderful on their own. 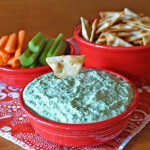 I also like to pair them with an easy, homemade dipping sauce, such as my Kale Walnut Pesto. 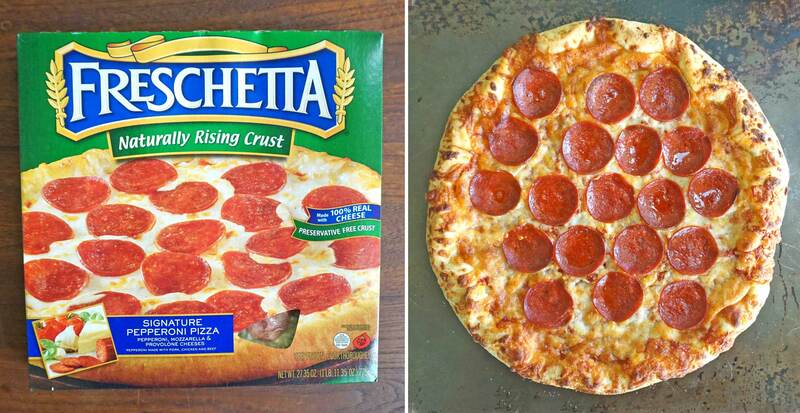 When it comes to frozen pizza, Freschetta is such a great choice, it’s freshness you can taste. The Freschetta ingredients, set them apart from other frozen pizza brands. 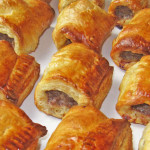 They use a blend of 3 grains which are kneaded and rolled so that the dough rises naturally. 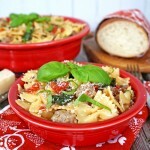 The sauce is made with 4 vine-ripened tomatoes and they use 100% real provolone and mozzarella cheeses. This past week, while shopping at my local Walmart, I picked up a Freschetta Naturally Rising Pepperoni Pizza, to have on hand for a quick and easy dinner. 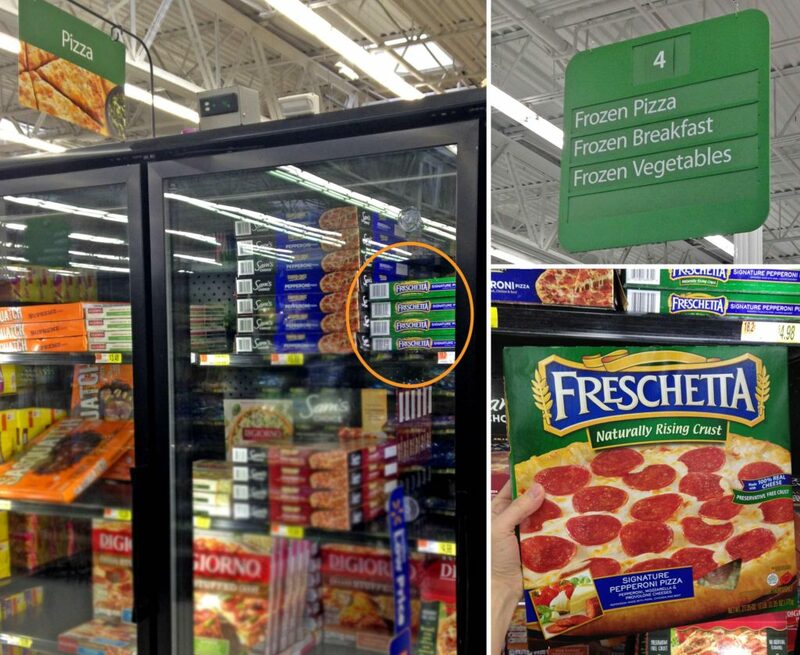 Freschetta pizzas are located in the Frozen Pizza aisle. I also picked up the ingredients for my Kale Walnut Pesto. Last Friday, after a busy, activity filled day, I was happy to have a Freschetta pizza, to pull out of the freezer, for a quick and easy dinner. While the pizza was baking in the oven, I whipped up my Kale Walnut Pesto, to serve as a dipping sauce. 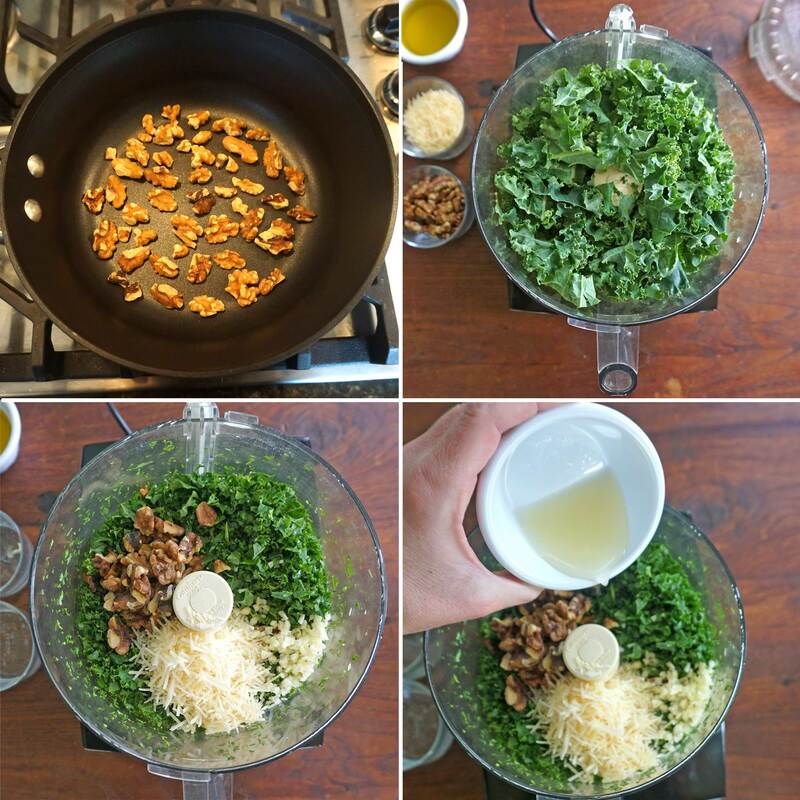 This Kale Walnut Pesto is so easy to make. First, gather the ingredients. 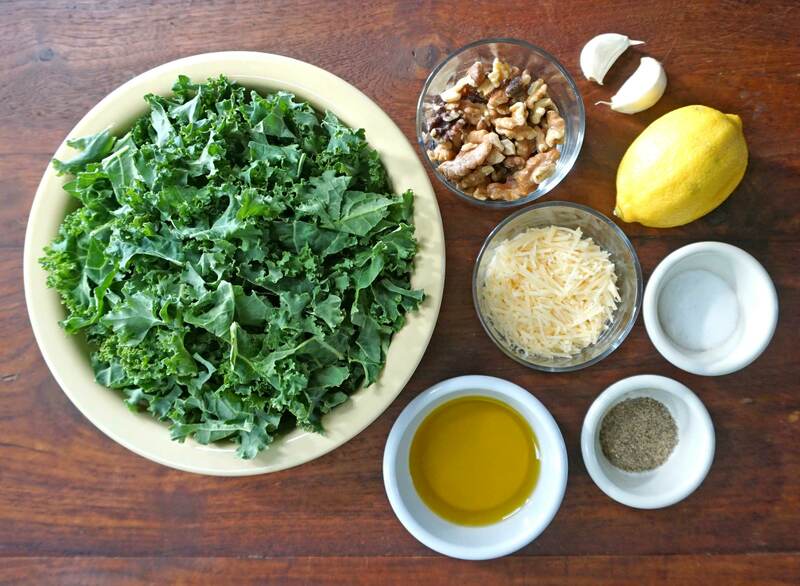 You will need kale, walnuts, shredded Parmesan cheese, garlic cloves, a lemon, olive oil and salt and pepper. In a medium sauce pan, toast the walnuts over medium heat, stirring occasionally, about 5-6 minutes. Next, add the kale to a food processor and pulse until roughly chopped. Chop the garlic and juice the lemon. Add the toasted walnuts, Parmesan cheese, and chopped garlic to the food processor. Pour in 2 tablespoons of the lemon juice and process to combine. With the motor running, slowly pour in the olive oil and process until combined. Season the pesto with salt and pepper to taste, processing to combine. Transfer the pesto to a small bowl. I served the Kale Walnut Pesto alongside the freshly baked Freschetta pepperoni pizza, and a delicious meal was on the table in under 30 minutes. This Kale Walnut Pesto is so vibrant and full of flavor. It is a wonderful accompaniment to Freschetta pizza. 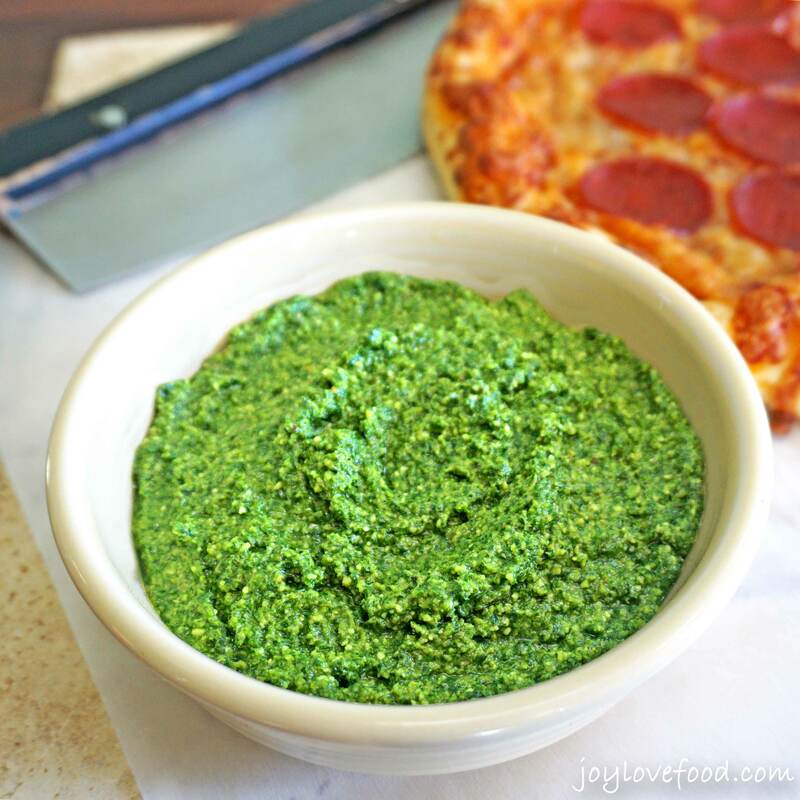 We all enjoyed dipping our pizza slices into the bright pesto dipping sauce. 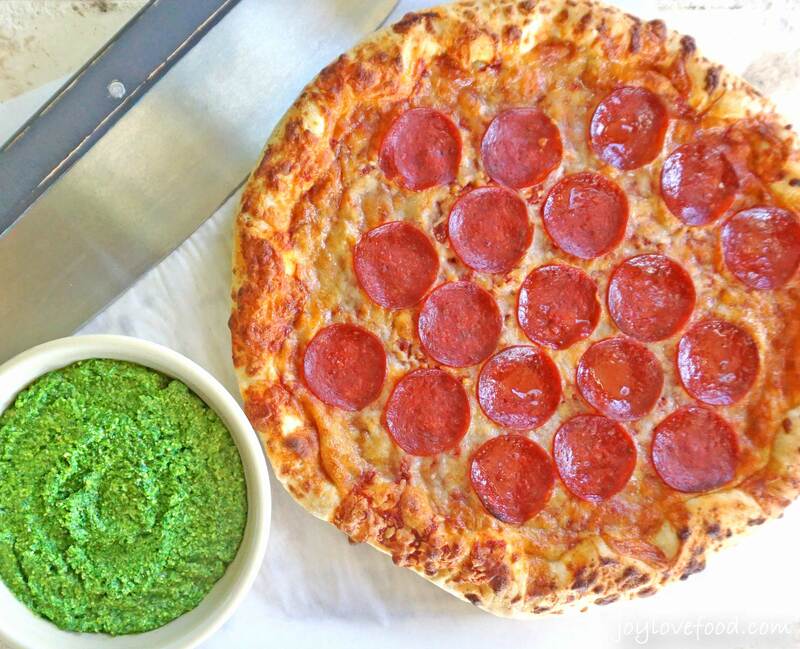 Together, the Freschetta pizza and Kale Walnut Pesto dipping sauce, made for a fresh and delicious meal. 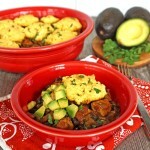 It was a great combination for a quick dinner on a busy night. 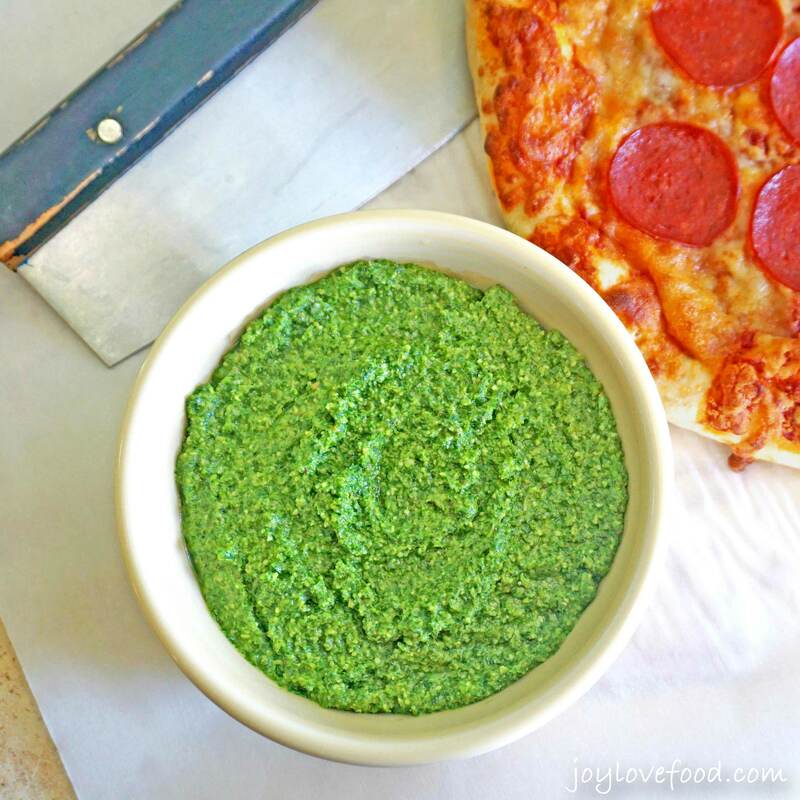 This flavorful Kale Walnut Pesto is so easy to make, and paired with a Freschetta pizza, is perfect for a quick meal that the whole family will enjoy. For a money savings offer on Freschetta pizza, be sure to visit ibotta. And, for more information and ideas, visit the Freschetta website and follow Freschetta on Facebook, Twitter and Instagram. Kale Walnut Pesto - a flavorful pesto, that is so easy to make, paired with a pepperoni pizza, is perfect for a quick meal that the whole family will enjoy. In a medium saucepan, toast walnuts over medium heat, stirring occasionally, about 5-6 minutes. Add kale to a food processor and pulse until roughly chopped. Add toasted walnuts, Parmesan cheese, garlic and lemon juice to food processor and process to combine. With motor running, slowly pour in olive oil and process until combined. Season pesto with salt and pepper to taste, processing to combine. 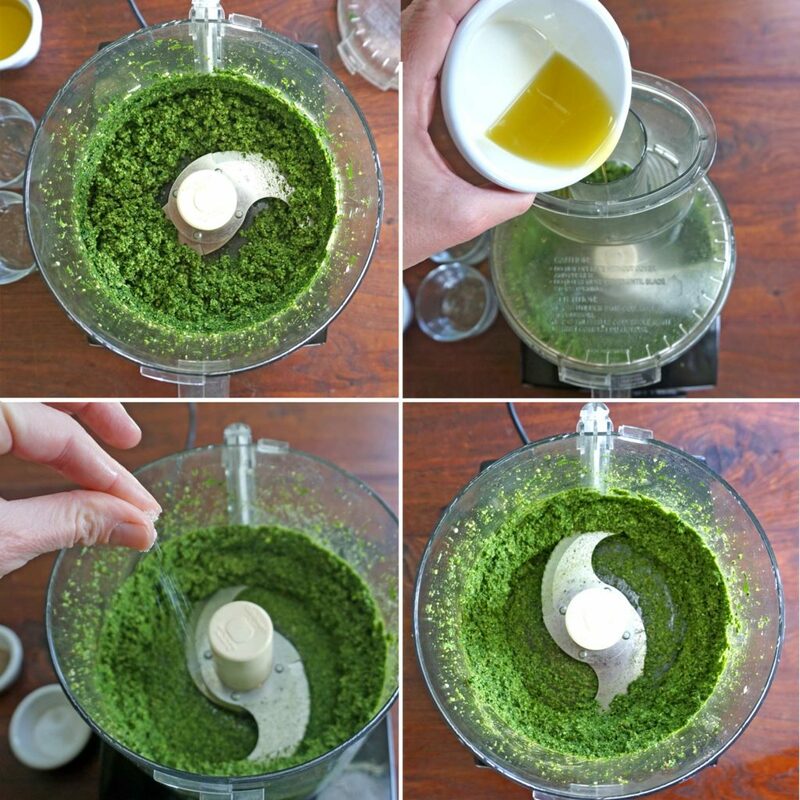 Transfer pesto to a small bowl and serve. This pesto has a nice, strong garlic flavor. 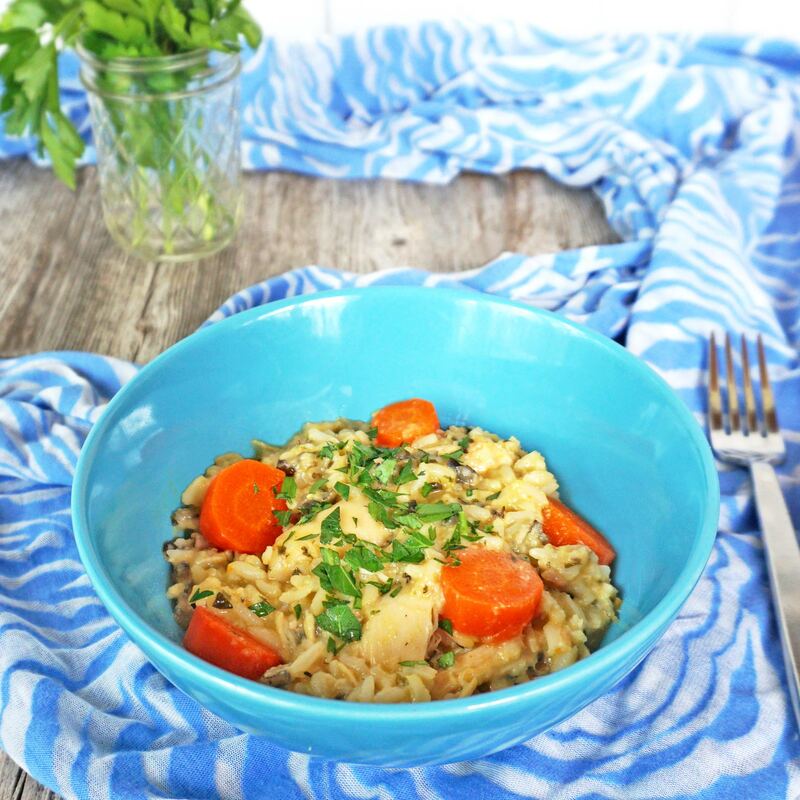 If you prefer a more subtle garlic flavor, start by adding just 1 teaspoon of chopped garlic. Taste pesto and add more garlic, if desired. 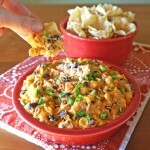 This entry was posted in Appetizers & Small Bites, Dips & Spreads, Main Dishes and tagged appetizer, dinner, dip, dipping, easy, family, kale, meal, pesto, pizza, quick, recipe, sauce, spread, walnut, winter. Oh YUM!!! I would have never thought of this for pizza! What a great combo! Thank you! 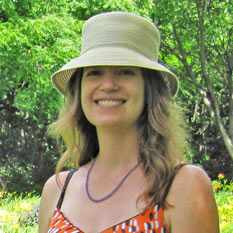 Thanks Lori, it is a really great combination!